The author, Alex Van Arkadie, is a retired FAO official. For workers who go abroad in search of fortune, the main obstacle is the local language. 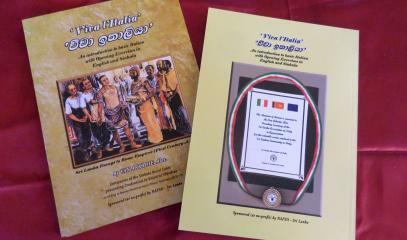 Colombo (AsiaNews) – The first Italian-Sinhala language book has been released. 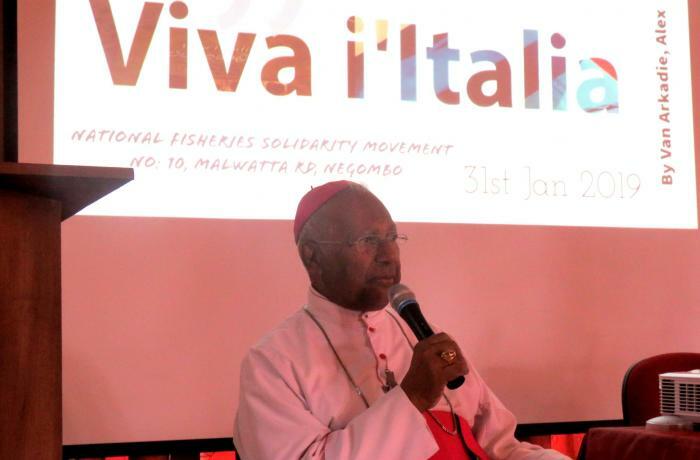 Its goal is to help Sri Lankan immigrants in Italy. Published by the National Fisheries Solidarity Movement (NAFSO), Viva l'Italia! 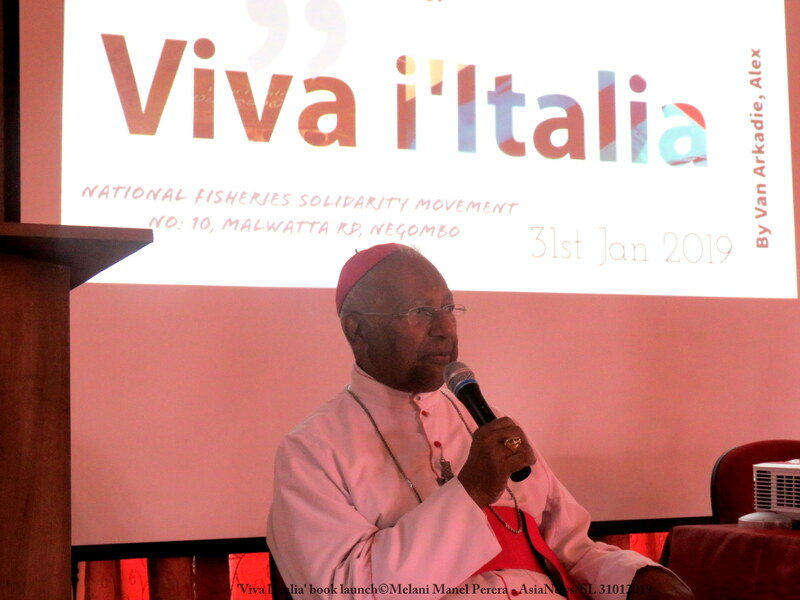 (Long live Italy) is the work of Alex Van Arkadie, a Sri Lankan Catholic and a retired staff-member the Food and Agriculture Organisation (FAO) who has been living in Italy for about 40 years. 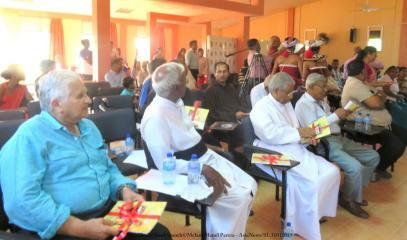 The book’s official launch took place on 31 January at the NAFSO offices in Negombo, north of the capital. 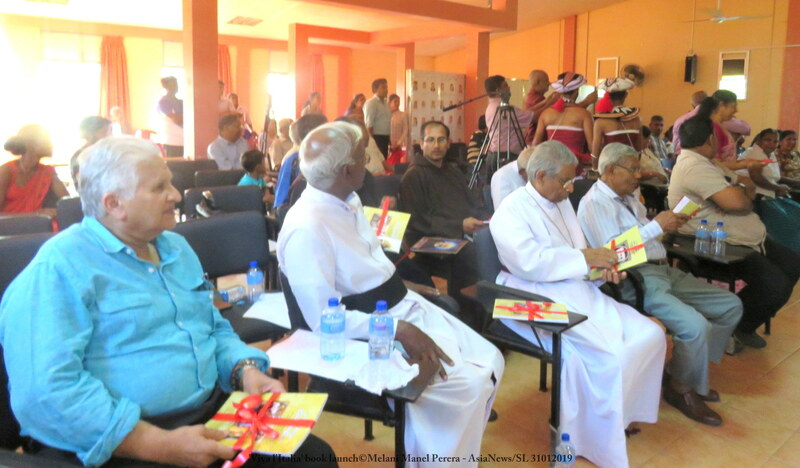 Several top clerics were present, including Mgr Oswald Gomis, archbishop emeritus of Colombo, Mgr Kumana Illansasinghe, Anglican bishop of the Diocese of Kurunegala, and Fr Eardley Mendis, from Colombo’s St. Michael's Church. For the author, the drive to publish a dictionary came from seeing the linguistic difficulties migrants confront in a new land. For ten years, Arkadie has been a volunteer teacher of language to foreigners at san Timoteo Parish just outside of Rome. 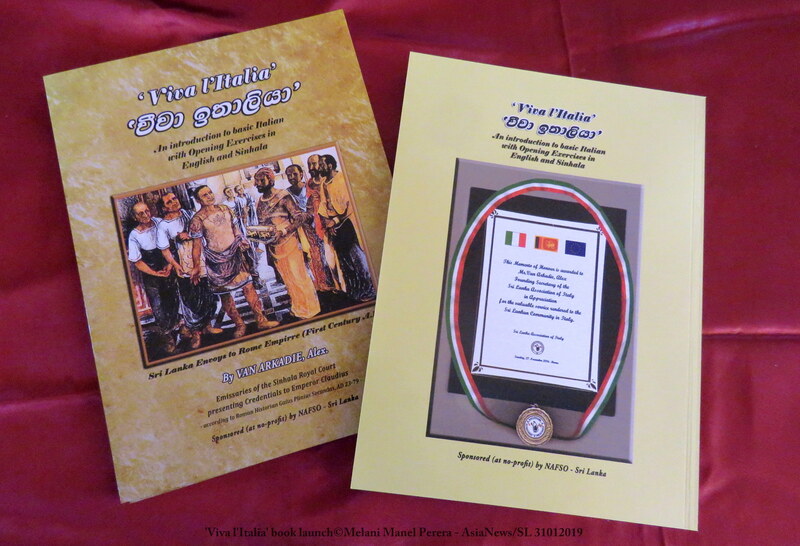 The 80-page tome, which includes exercises in English, Sinhala and Italian, is available for five euros at Church facilities, the Sri Lankan Embassy in Italy and the NAFSO headquarters in Negombo. 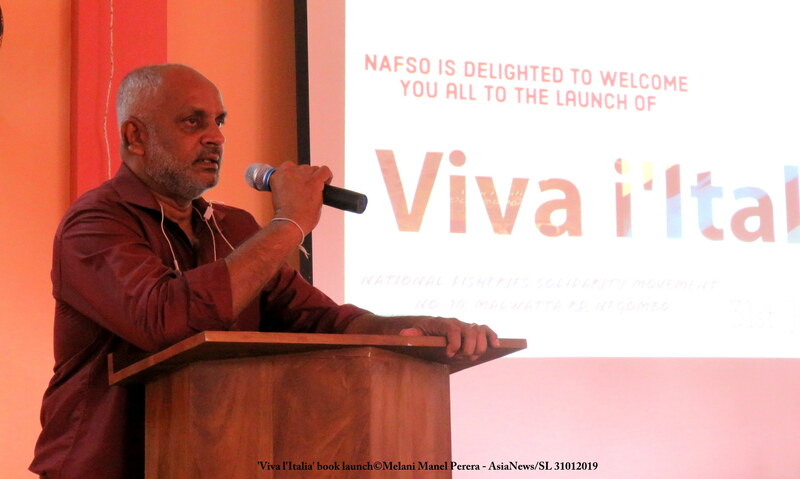 "We do not encourage people to emigrate,” said Herman Kumara, NAFSO’s national coordinator, “but given our country’s situation, we cannot oppose it. It is our duty to help people who look abroad for a better future."